One Level Ranch! 3 Bedrooms, 2 Full Baths, On Over an Acre in City Limits of Homer, 20 x 24 Fully Insulated Workshop With Roll-Up Door, Extended Deck on Shop! Walking Distance to Chimney Oaks Golf Club! Kitchen Appliances Included! Recessed Lights, Stone Fireplace with Gas Logs, Vaulted Ceiling in Family Room, Architectural Roof Shingles,Garden Tub, Separate Shower, Double Vanities, Covered Front And Back Porch, Trek Decking on Back Deck, Water Filtration System,Termite Bond, 2-Car Garage, Tile Backsplash in Kitchen, Double Treyed Ceiling in Master Suite, Crawl Space Foundation, Private Backyard, Workshop has Hardiplank Siding! No Recorded Subdivision is a subdivision within the city of Homer, Georgia. There are currently 4 Homes for Sale within No Recorded Subdivision, with asking prices ranging from $45,000 to $1,103,880. The average list price per square foot of the available inventory in No Recorded Subdivision is $38,302, which is above the Homer average of $281. The Average Sales price of all sold real estate in this subdivision for the past year is $375,000. Recent comparable homes have been selling for 94.37% of their asking price. Waterfront homes represent 50.00% of the available No Recorded Subdivision inventory. The population of Homer, according to the 2010 Census, is 1,141. The total number of households in the zip code of No Recorded Subdivision is 1,221, with an average household size for of 2.68 people. The total number of renter households within the zip code of 30547 is 333, which means that 72.73% of households in this zipcode are owner occupant households. 209 Scales Creek Road, Homer GA 30547 is a Home, with 3 bedrooms which is recently sold, it has 1,661 sqft, 1+ - 2 sized lot, and Attached,Garage parking. 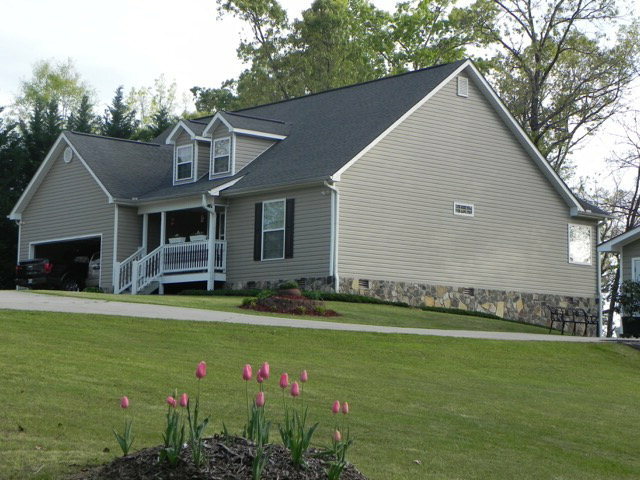 A comparable Home, has 2 bedrooms and 3 baths, it was built in and is located at 124 Classic Overlook Townhomes Homer GA 30547 and for sale by its owner at $ 197,000. This home is located in the city of Homer , in zip code 30547, this Banks County Home, it is in the No Recorded Subdivision Subdivision, and Cannon Creek are nearby neighborhoods.